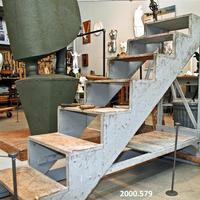 Gray painted wood staircase. Used for reaching high areas while sculpting. This is on wheels for easy movement. There are 7 steps. 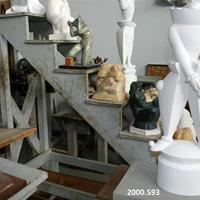 Grey painted wood staircase. There are seven steps, and stairs are on wheels for easy movement.